KayKiSpeaks.com: Will harassment claims hurt Cain's chances? 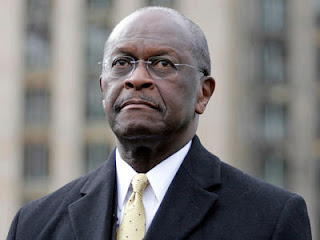 He's been accused twice of sexual harassment and news accounts over the past few days show Republican presidential candidate hopeful Herman Cain singing several different tunes. Cain and top campaign aides have wrangled with the fallout over the news, threatening to kick him from a high standing in the polls. Offering inconsistent accounts of what he was accused of and how he responded to the charges -- two women had accused him of inappropriate harassing behavior while he was the head of the National Restaurant Association in the 1990s. At first, Cain's campaign issued a simple denial in a Politico story on the accusations, which resulted in payouts to both accusers to settle the claims. A response dismissed the story as a liberal attack. Next, campaign chief of staff Mark Block told MSNBC he was "unaware of any complaints but insisted Cain had never sexually harassed anyone. Then, Cain changed the story again, telling FoxNews he was aware of complaints but insisted he had been falsely accused. He claimed to not be aware of the payouts to the accusers. "If the restaurant association did a settlement, I was not even aware of it and I hope it wasn't for much," Cain told Fox News, insisting the claims were "totally baseless" and "totally false." In another interview, Cain gave a different story, saying he was aware of a payout in at least one of the cases and suggested he had been directly involved in the details of that investigation. New details have surfaced on the nature of the complaints -- the second woman filed a complaint after a conversation they had while traveling on business, according to a story by The New York Times. The Wall Street Journal reported a source saying that one woman claimed Cain invited her to his hotel room when they were on the road together, but she denied his request and there was no physical contact.